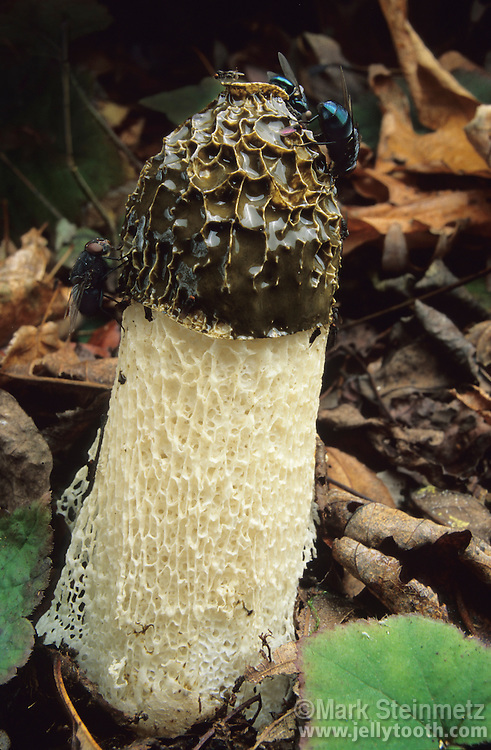 Netted Stinkhorn (Dictyophora Duplicata aka Phallus duplicatus). Like other stinkhorns, this species is often smelled before it's seen. The fetid, foul-smelling odor comes from the olive-green slime atop the mushroom, which attracts flies and other insects, which then inadvertantly carry off and dessiminate the spores. Hocking County, Ohio, USA.